Discover the land where the legends of King Arthur were born in North Cornwall. You can embark on a mythical quest unearthing the recognisable landscapes, full of magic and mystery, and follow in the footsteps of the imaginative Arthurian tale. The tale of King Arthur is world famous, with the stories about Camelot, Guinevere and Excalibur being retold across the world for centuries – Guy Ritchie’s latest film 'King Arthur – Legend of the Sword' is just one adaption of the story, which stars Charlie Hunnam, Àstrid Bergès-Frisbey, Djimon Hounsou, Aidan Gillen, Jude Law, David Beckham and Eric Bana. Watch the trailer for King Arthur, Legend of the Sword trailer on YouTube. This films adaption of the King Arthur tale isn’t set in the Legends' Cornish roots – but as legends go – it is sure to be a blockbuster. Come to Cornwall to encounter King’s Arthur’s true country, where you can escape across the rocky path to the mystical and eerie Tintagel Castle which is owned by English Heritage, and then continue onto King Arthur's Great Halls; onto Bossiney, St. Nectan's Glen, Rocky Valley; and then to the site of the final battle field at Slaughterbridge. You can continue your epic journey even further, and visit the medieval market town of Camelford (a reputed site of Camelot), and then onto King Arthur's Down and Hall on Bodmin Moor and then finally visit Dozmary Pool where King Arthur’s sword ‘Excalibur’ is reputed to lie. Other Arthurian connections include Castle Dore and the Tristan Stone near the harbour town of Fowey. 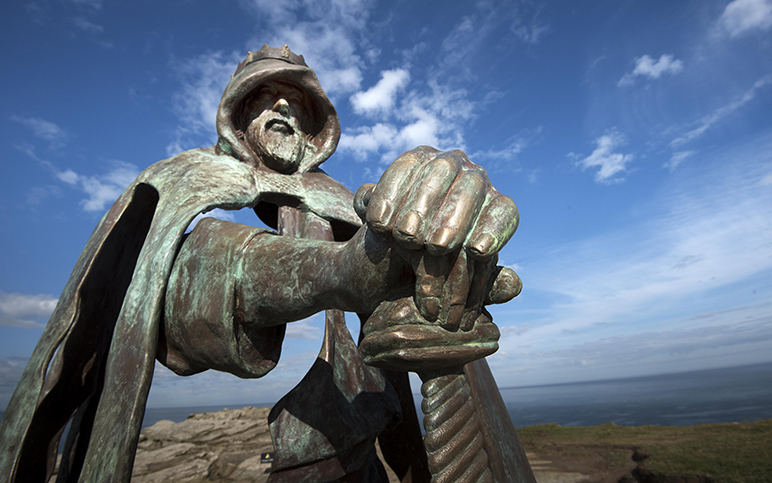 You can learn more about the Arthurian legend and you can also come and explore the King Arthur Trail in Cornwall, which is available to download as The Avalon App, available in both Android and Apple online app stores. 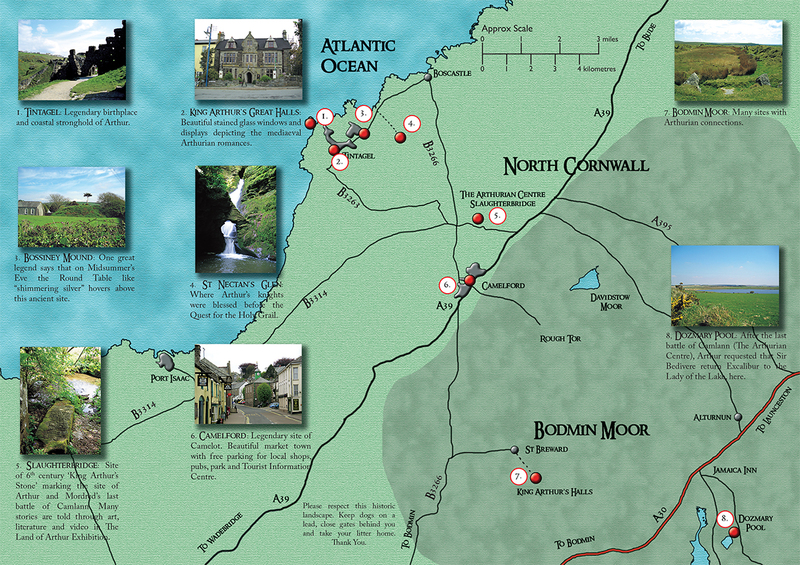 See the King Arthur Cornwall Tour Map provided by The Arthurian Centre. Beneath the map you can plan your trip with details about Accommodation, Things To Do and Places To Eat and Drink in North Cornwall.